Scholars from coast to coast expect the Senate Judiciary Committee to confirm U.S. Supreme Court nominee Judge Brett Kavanaugh – and they expect him to help end affirmative action by ruling against it in cases that reach the high court. Affirmative action programs and policies, enacted by U.S. public and private institutions dating back to the 1960’s, have always been controversial, dividing the public and politicians as they grant some preference to Blacks, women and other groups to remedy past discrimination and counter continuing discrimination. The Supreme Court recently has upheld the use of race as one factor among others in college admissions decisions. However, many scholars believe the U.S. Senate will confirm Kavanaugh and that affirmative action is likely to be struck down with him joining four other apparently like-minded justices on the bench, including Chief Justice John Roberts. The recent lawsuit against Harvard University’s affirmative action program on behalf of Asian American students who allege it discriminates against them doesn’t reflect the reality of the majority of Asian students, who are not people of means and stand to lose if the Supreme Court with Kavanaugh ends affirmative action, said Dr. David E. Lee, who teaches political science at San Francisco State University and is director of APASS summer bridge and AANAPISI grant programs at Laney College in the Peralta Community College District. 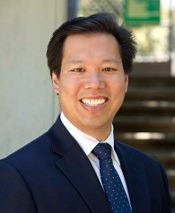 More than half of Asian-diaspora students in the United States attend community colleges and the vast majority attend public schools, while those at Laney make up 30 percent of the student population and tend to be low-income, first-generation, food-insecure and housing-insecure and speak English as a second language, Lee said. “Our population is the farthest thing from the model minority. It’s anything but ‘Crazy Rich Asians,’” he said, invoking the name of a movie currently in theaters. Racial diversity has declined measurably at many colleges in California since 1996, when the state legislature passed Proposition 209, which bars state governmental institutions from considering race and other factors in public education, employment and contracting. The decline in percentages of minorities is likely to continue with a more conservative high court, even though Whites are a minority and Hispanics are the plurality in the minority-majority state, Lee said. Although some say there are ways other than affirmative action to achieve diversity and inclusion, Lee hasn’t seen viable alternatives. Nor has Dr. Gary Orfield, a research professor at UCLA’s Graduate School of Education and co-director of the school’s Civil Rights Project. Both noted that hundreds of millions of dollars spent by their state since the ban has generated costly and cumbersome alternatives, but nothing that has worked. Orfield co-authored an article making that argument in UCLA’s The Civil Rights Project in October 2017. Kavanaugh’s ascension to the Supreme Court will “set the stage for a huge battle” legally – a battle that is likely to result in the demise of affirmative action, Orfield predicted. Kavanaugh is rather complicated when his comments, rulings and actions regarding diversity are assessed. He often has spoken in favor of diversity, if not affirmative action. Two of his four law clerks this year were African-American students he met during visits to his alma mater, Yale Law School, where he has addressed the Black Law Students Association by invitation on six occasions. Since being on the federal bench, he has hired 48 clerks, 13 of whom were minorities; 9 of the 13 went on to Supreme Court clerkships. When he was assigned as associate counsel to President George W. Bush in early 2001 to freshen up the conservative face of the federal bench, he sought out minority candidates. Of the 11 nominees introduced a few months later, six were minorities or women. But his position on a few cases involving race preferences – and expression that he believed the government would at some point stop taking sides on matters of race and ethnicity – leave some observers extremely uneasy. “To start, we know that the Supreme Court has made clear that race can be a factor in admissions. 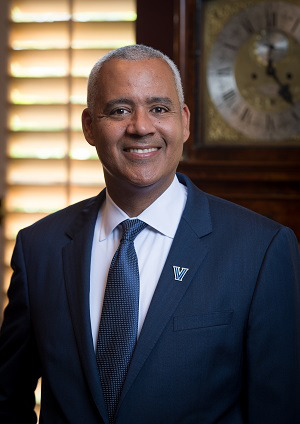 The Court supports holistic and individualized decisions that make for a diverse student body,” said Dr. Mark C. Alexander, dean and professor of law at the Villanova University Charles Widger School of Law. “Based on what I have seen of Judge Kavanaugh’s writings and opinions, I think that he is more in line with the thinking of justices like Thomas and Alito, who have been less receptive to some race-based affirmative action plans in admissions,” Alexander added. “There’s a real concern that Kavanaugh would strike down efforts to increase diversity and inclusion in education and employment,” leaving “employers and educational institutions without the tools to increase diversity in their ranks,” Gupta added. In a recent poll published by CNN, America seems to be divided on whether Kavanaugh should be confirmed, with 38 percent in favor, 39 percent against and 23 percent who indicated no opinion. “I have always thought diversity to be a relatively weaker argument in favor of affirmative action, compared to the government’s interest in remedying past discrimination,” said Roithmayr. Monica Levitan can be reached at mlevitan@diverseeducation.com. You can follow her on Twitter @monlevy_. LaMont Jones can be reached at ljones@diverseeducation.com. You can follow him on Twitter @DrLaMontJones.